sadly enough, mobounty is inactive. but this plugin is better!! protip: use industrialcraft credits as coins, thats what they are made for. You could also use ecoCreatures, never had a problem, works flawlessly. and works with tekkit id codes. 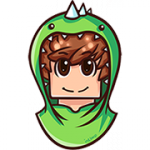 Hello, ive recently became over of 50 slot tekkit server. basicly i got alot of protection plugins and there all working nicely, the problem is that permissionsex, put it simply i dont code, and im dyslexic so looking at its clusterfudge of textcode im going nowhere very fast. All i want to is stop the use of redmatter armor and the gem armor and nukes(currently nukes have been nerfed on my server, but i rather have them gone). aslong as they cant equip the armor id be happy. So any help on this (red) matter would be appreciated. PM me so I remember once I get home and I'll send you the modifyworld permissions you'll need to accomplish this. You mention blocking of EE, is there a way to fully disable the addon? Without individually blocking each item? a buildcraft quarry. it places the frames, far away from the quarry itself. this overcomes the maximum reach of a player. so the player [buildcraft] is placing blocks further away then its allowed and uses reach hacks. so if we somehow could manage to let the "mod players" override all plugins, it would fix all problems you will have with this. i think im going to ask around a bit if they can make the mods register as a pkugin instead of a player. I Take offence to this, however your the one who obviously cant read, because you would of noticed i said "i cannot read code" that does not mean i cant read and as for permissionex it is not a simple pluging because you have to code. this is not a big problem.... there are bigger problems, than a person who can't look up simple ways to make nocheat and mods work, Most of us here run servers we know this issue already. You don't have to come here pretending to know more than us... we are all on the same boat, and you replied his issue with an issue of your own? then you insult the dyslectic person when you can't even read his own post. Well the difference between mine and yours is that yours is 1.2.5 -R1. while ecoCreatures is 1.2.5-R4, with constant channel log feeds, updates and ticket system. It's the person who asked decision to choose which plugin he wants we don't all have to use the plugin you told us about which quite frankly seem inactive considering the last reply from the developer was on April 18.
i believe the best way of disabling them without messing with permissions is just setting the item data values to 0 in the config, thou don't quote me on it since i never had to deal with EE (blocking Item) since i just disabled it completely on my server. I block what I need with a plugin to disable crafting like disablecraft or NoItem, then in addition, create modifyworld permissions to prevent the players from doing anything with the blocks or items as a secondary measure just in case one or the other break at some point. Also, regarding setting item IDs to 0, you have to be careful with that, it sometimes results in really strange errors such as the formidable Iron Shovel glitch, where it will either act like it's a philosopher stone or corrupt the player.dat files due to it's unique item ID (256). very nice guide, thanks a lot ! This is probably the best kind of spawn there is. It shows off the server for a bit, and makes people belief the server owner is a nice and creative person. If you want a spawn as epic as the one from terra novo or hello creeper, you need to be a good builder or get help from planetminecraft build teams. But watch out for grievers!! Make sure they don’t use world edit to turn your server into total crap. This happens quite often, and you should not trust everyone which says he’s a good builder. They may turn your world into sponge. When you get a building team, make sure you give them some credits. Even a small sign would do. Don’t you dare to use this as an excuse to hide your bad building skills!! An emergency spawn is a good option for a beginning server if you want players on it while the spawn isn’t ready yet. Make sure you do not miss any neccecairy info at this spawn!! A good emergency spawn would be: a marble brick platform, with signs around it. Those signs tell you the entire server's info. Make sure players want to read the signs. If you don’t make the signs interesting, they will just skip it and play on your server while they don’t know the rules and stalk you with questions. Also make sure it is near your yet-to-become spawn! Players will be interested in your brand new spawn and take a look!! Don’t forget to protect the area!! This will probably wipe out your building project. Don’t lie about the spawn. You didn’t build it. It also isn’t *based* on a schematic, it’s just the schematic. If it is based on a schematic, you rebuilded it yourself with the same design! THIS IS COMPLETE NONSENSE! Epic spawns make the server look like they're too good for it's players. You don't want to overwhelm players now would you? And seriously who copies buildings PEOPLE WHO CAN'T BUILD that's who. You can still add NoCheat plugins, just disable certain features. There are certain hacked clients that do include x-ray. I tried it out to see if it worked and also to test out the Orebfuscator plugin which scrambles ores to prevent this form of x-ray. do you know how to install a plugin? probebly not, otherwise you wouldnt get this. run the server and shut it down. now, if this doesnt work go to either the bug boerd or the bukkit forums. true, but most people dont understand the nocheat config. its quite hard to edit properly. and i know that disabling is only setting true to fals but even then tehre are some dumbasses wich dont get it. and oreobfruscator cant be run at laggy servers. and tekkit allready is quite resourse demanding. i may add a fully edited config for nocheat+ wich people can download and use at will. other people seem to disargree with you. and besides, did you hear about "own opinion"? everyone has a diffirent opinion about a server spawn. most people would argree with me. you dont, so i respect that as a fact. i hope you can understand this and go your own way at your server spawn. This is completely untrue. People mod their clients every day. I even think there is a release of a mod client for Tekkit. Its horrible. They need to come out with a nocheat to work with Tekkit. i will remove it since it is outdated. when i wrote this there wasnt any word about a hacking client for tekkit yet. Radio: You can quote more than one other post inside yours. Just hit the "Reply" button on the post you want to quote, with the cursor wherever in your post you want. Voila! I know lots of people that see huge structures at spawn and get overwhelmed. They get confused and can't take it all in. Also they can get lost and big builds make them feel like maybe they aren't good enough. Use SWatchdog for tekkit, this log system is made for tekkit. Its really not hard at all to edit the nocheat config, its literally a questionnaire... so your calling people who run dedicated servers moronic enough not to go through a questionnaire? You must have a PhD in Tekkit configurations or something since you keep thinking your methods are better then others, we all shouldn't be aiming for the exact same servers with same configurations and same plugins same spawn etc.. we should be aiming for the same quality with different approaches. And yes when you posted that there were hacked clients, you are just too delusional and full of yourself to admit you were wrong, as jasonsj10 people used modify clients from the getgo, its something you should expect not ignore and shrug it off as if it's not there. Tekkit is easier when you wrIte your own plugins..
What i did was disable the use of some items in my protected areas, like spawn, and only allowed exploding items to actually break blocks when they are 10,000 blocks out from spawn. Explosions will still hurt players no matter where they go off, but they wont destroy blocks in any protected areas on my server including server land AND protected player areas as players can protect a 31x31 chunk of land from bedrock to sky by simply placing a web on the ground. Here is a list of the Item ID's I have placed restrictions on. I think I got them all but maybe I missed something? he nice thing is i have not completely disabled any tekkit items at all. Players cant seem to grasp that, but they sure like it. well, most people dont know how to write java code. i tried to learn it, but its both a difficult code and its all in english wich makes it harder for me as well. maybe you would allow us to use your plugin?